← An AMAZING 3rd Bney Yosef Congress!! The 3rd Bney Yosef Congress had at least one new participant. I had heard rumors that he might show up, but I was not prepared for Cletus’ grand entry, snatching the microphone for a monologue… And, he did it more than once!! Video to follow…. Among the seriousness of business, prayer and worship, the Congress was just plain fun!! There were many moments, a few of which were hysterical. Following are a few pieces that will give you a flavor for the fun side of this group that gathered from all across Europe, North America and Israel. As with any gathering of Ephramites, food and red wine are a requirement…. This was no different. 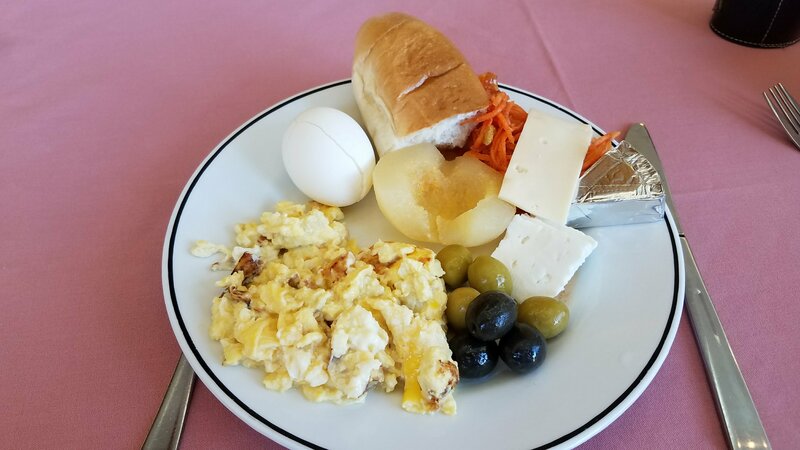 The legendary Israeli breakfasts were there daily and typically, the wine came out after the evening session. 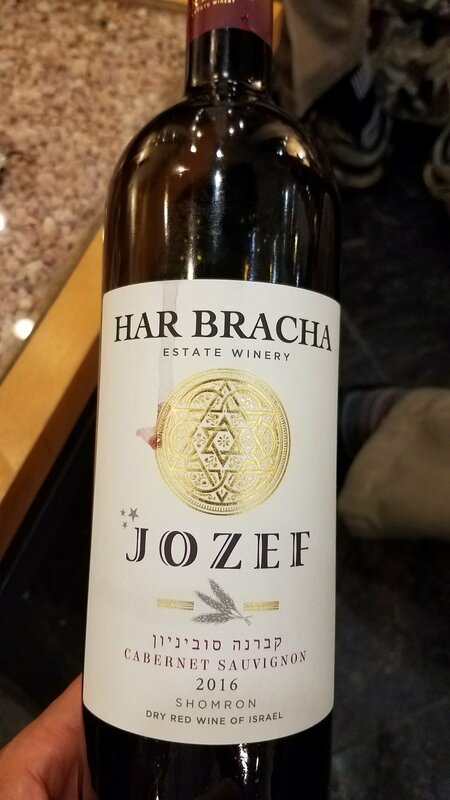 Jozef from Har Bracha Winery is one of the favorites for more than just the intentional naming connection. 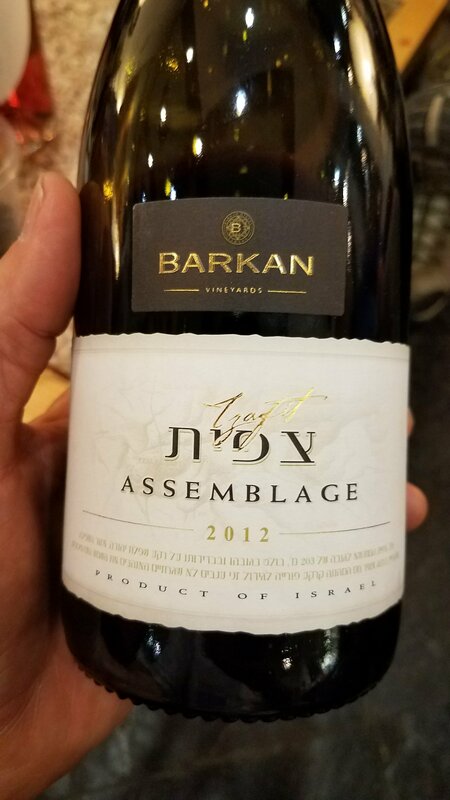 My favorite of those tried this time was a 2012 Barkan Assemblage. Very nice!! 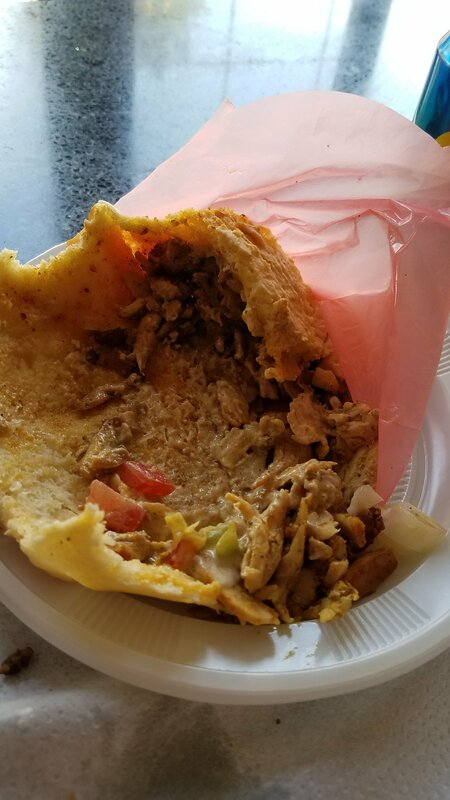 For Tommy Washburn, I made two trips to the shwarma stand at the bottom of the hill, but was so eager to dive in that I forgot to take pics for you both times. Here, for your viewing pleasure is the aftermath of Kelly’s… LOL! I did fail to take enough pics of people just talking and relaxing. From beginning to end, there always seemed to be someone else I needed to talk to…. While many terrific connections were made and bridges built, the time went too quickly. I need to smell more roses next Congress if Abba allows me to attend. 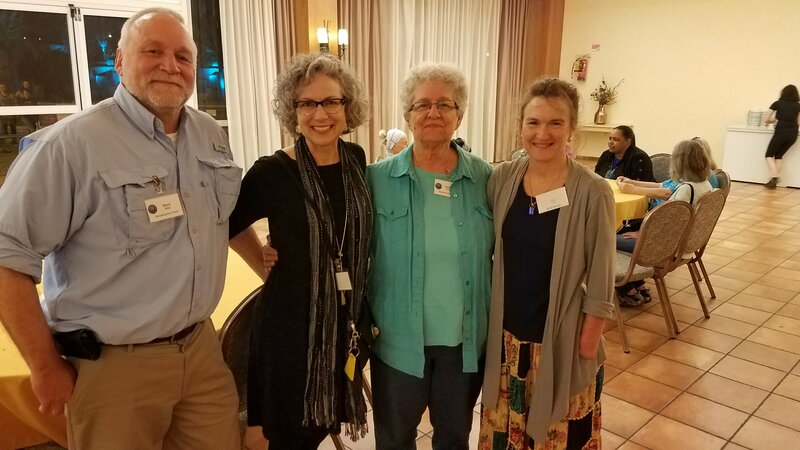 One pleasant surprise was having another tour group drop into the hotel our last night there and Kelly and I met Barry and Andrea Miller as well as good friend Donna Boozer. That was a real treat!! Earlier the same day, Eleazer Braun and incredibly talented artist wife, Ellen Miller Braun, dropped by to see us and visit. 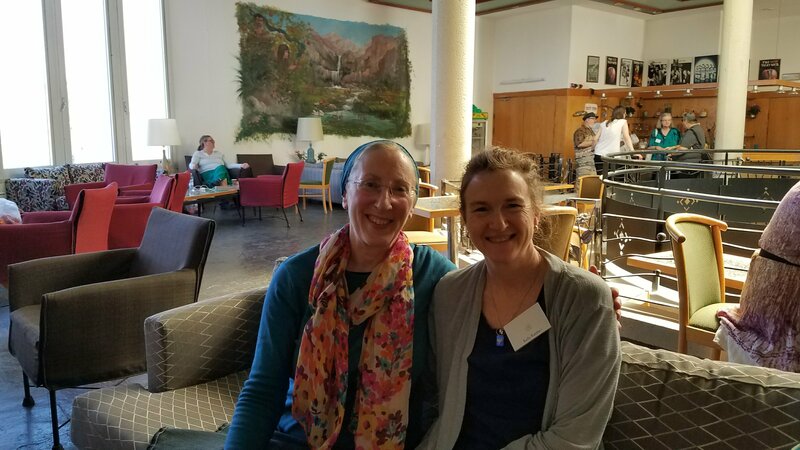 We have hosted Eleazer on several occasions, but this was our first time meeting Ellen. She and Kelly really connected. This Congress was overflowing with talent for worship as well as some impromptu entertainment. Jossi and Heinz, the Swiss delegates, took up the microphone at one point for a yodeling exhibition. Solomon Perez’s guitar playing was dynamite as he led in worship, then, well, there was Cletus. 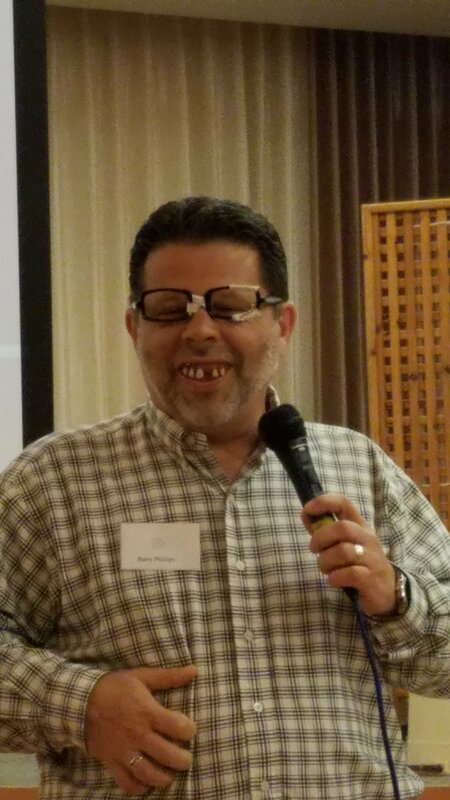 This entry was posted in B'Ney Yosef Congress and tagged Barry Phillips, cletus, fellowship, fun, funny, mishpocha, redneck. Bookmark the permalink.